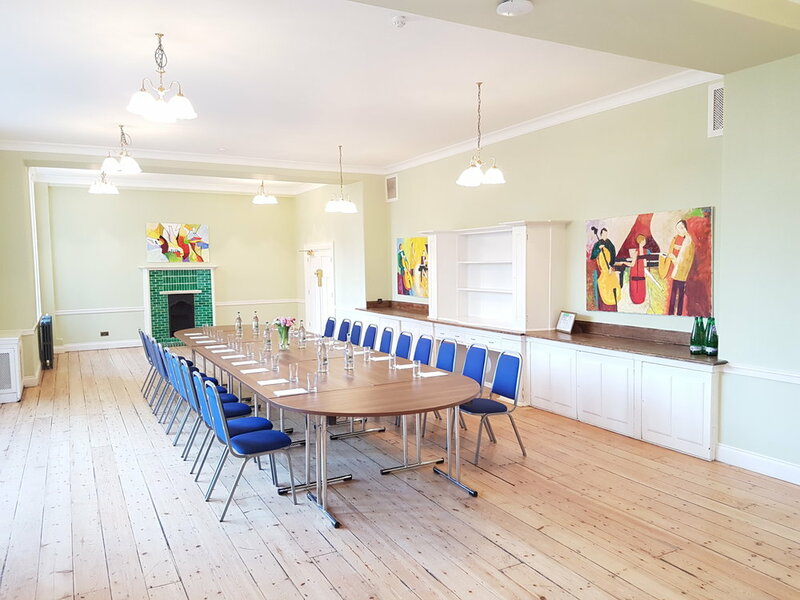 With views across Mary Ward House’s exquisitely cultured gardens, the Lethaby Room nurtures an idyllic large meeting room space for conference venue hire, extended training sessions, lectures, or social events. Like all rooms in Mary Ward House, the Lethaby Room cultivates its unique presence around a certain special feature. In this case, the two soft curving bow windows of the far wall are the first things you’ll notice, both for their unique period charm and the scenic views they offer over our gardens. On a warm summer’s day, you’ll be able to watch the sunlight dapple the meticulously cultured lawns and trees outside while letting rich natural light flow into the room around you. Turn back to the Lethaby Room itself and you’ll find the outlook no less arresting. A grand traditional fireplace of pure white with lime green tiles draws attention to the natural head of the room, with a smaller version creating a focal point at the opposing end. Crown moulding, subtle light green walls, and traditional ceiling lamps underscore Mary Ward House’s grade 1 listed status by calling back to its 19th century construction, all the while contributing to an atmosphere genially distinct from the modern corporate meeting room and conference venue hires. 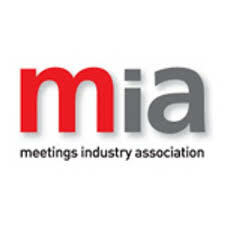 The room’s generous dimensions can accommodate multiple tables and chairs for smaller social events, dual rows of chairs for conferences and training sessions, and u-shaped desks for a large AGM. A wide counter running almost the whole length of the room allows for plenty of refreshments or training materials to be collected and stored for your convenience. With garden outlook and fetching period features, the Lethaby Room is perfect for medium-sized groups searching for an upscale meeting room or conference venue hire, though the space is also ideal for smaller wedding receptions, product launches, and exhibitions.